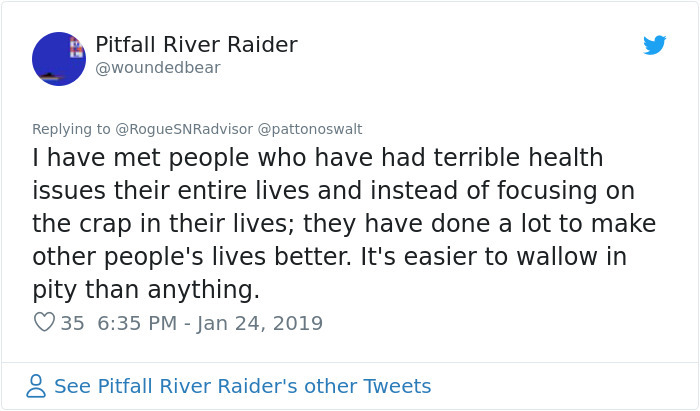 The reasons why people choose to go online and spread hate toward people they don’t know are complex, but there are usually some deep-seated psychological issues at play. 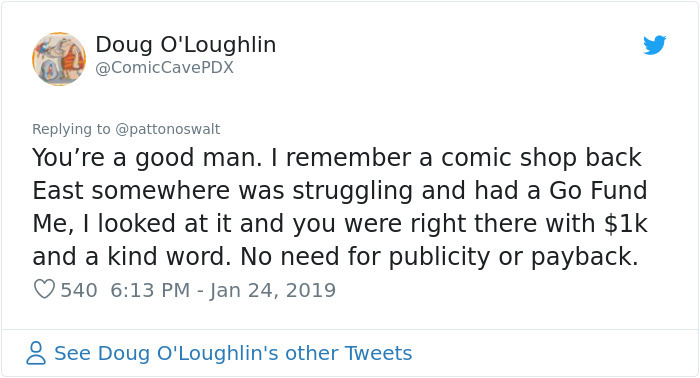 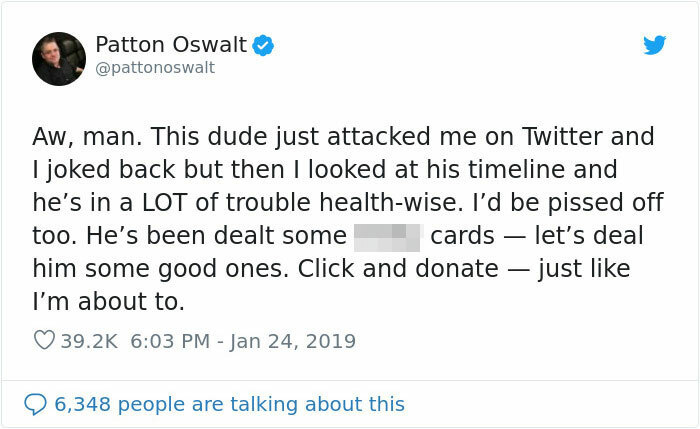 Oswalt’s usual method of dealing with these unhappy people is to shut them up with a witty comeback or putdown, but this time he chose to look beneath the surface and try to understand exactly why this Vietnam veteran was lashing out at him with insults. 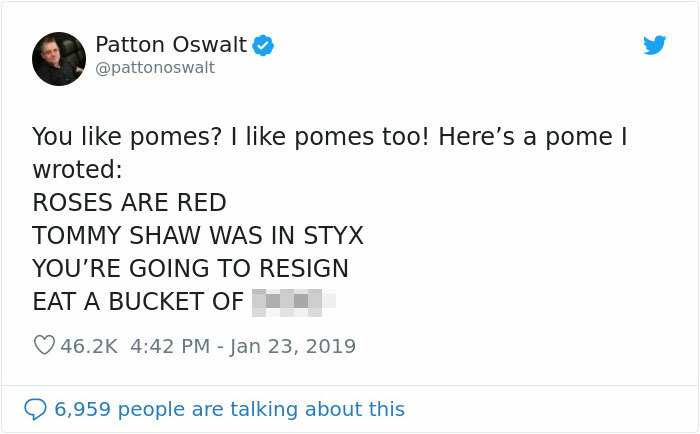 He soon found a possible explanation. 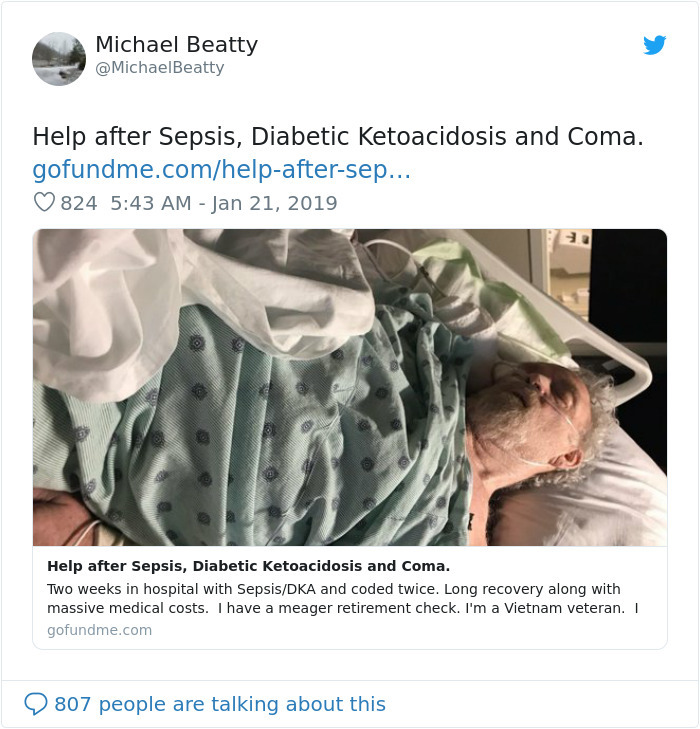 Micheal Beatty had recently been in hospital for 2 weeks, where he had been in a coma as a result of a variety of ailments including diabetes and sepsis. 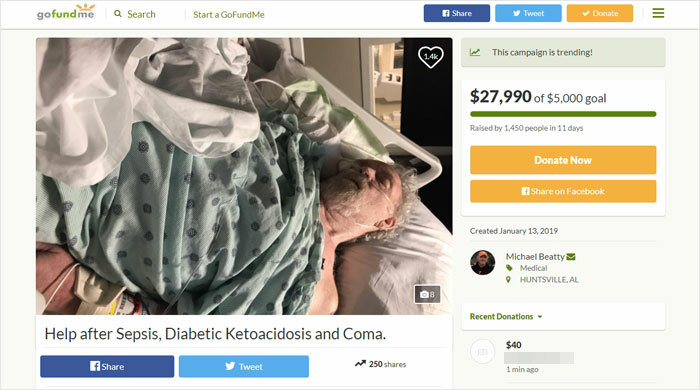 His continuing poor health and excessive medical bills are certainly bound to sour the mood somewhat. 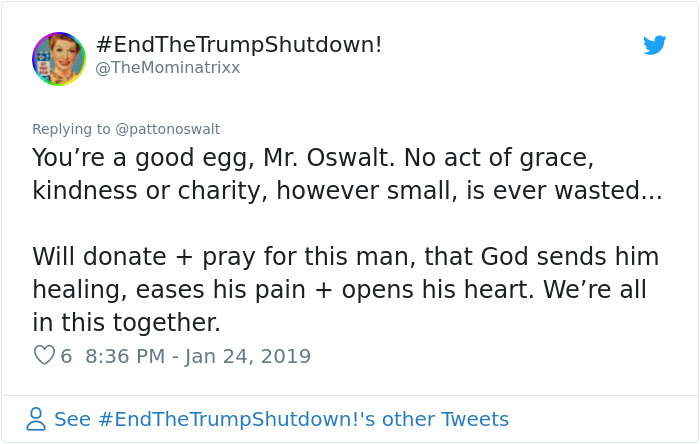 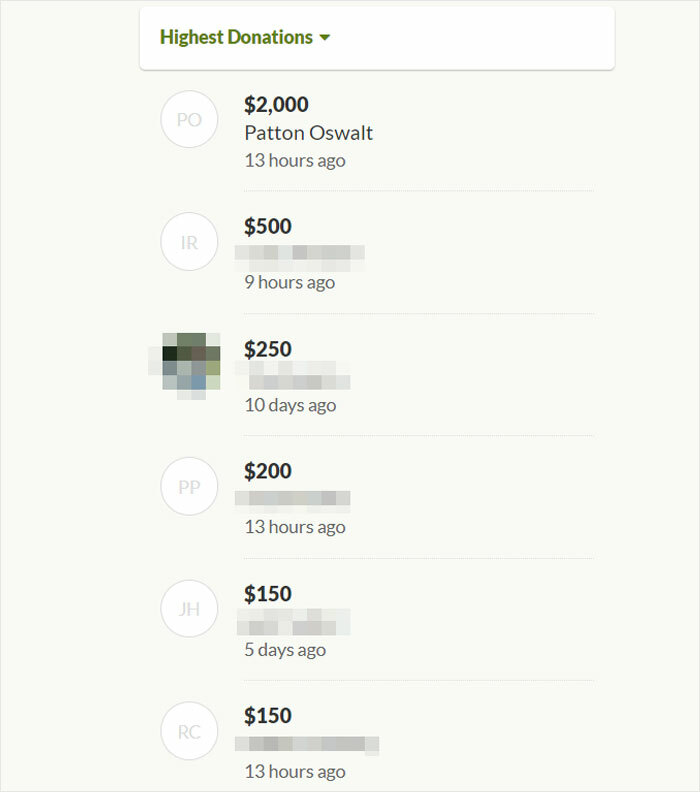 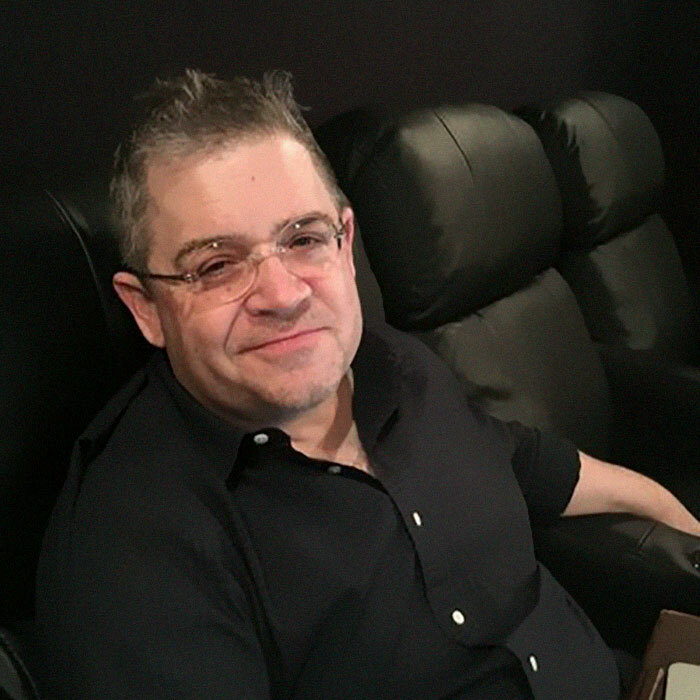 Oswalt found his GoFundMe page and decided that Beatty needed compassion, not comebacks. 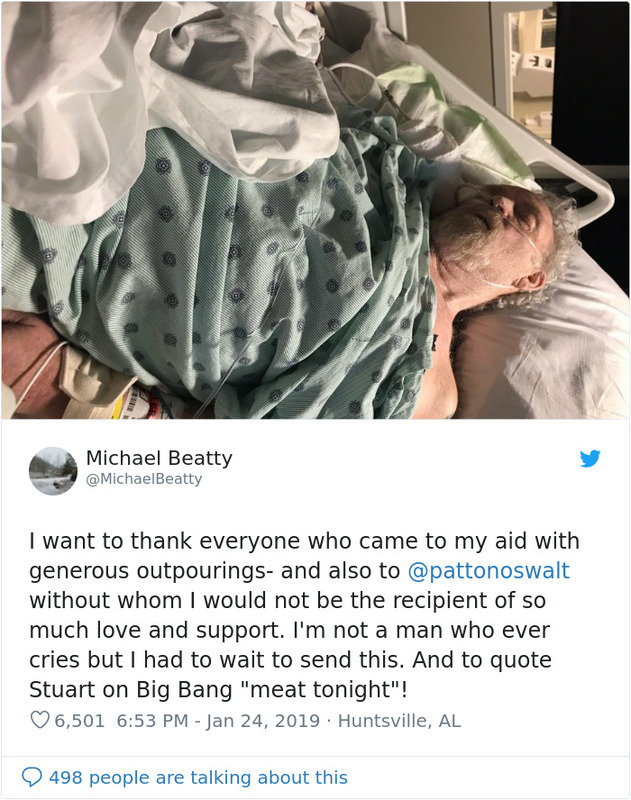 He donated $2000 to help his former troll get back onto his feet, and sparked an outpouring of kindness that left Beatty humbled to the point of tears. 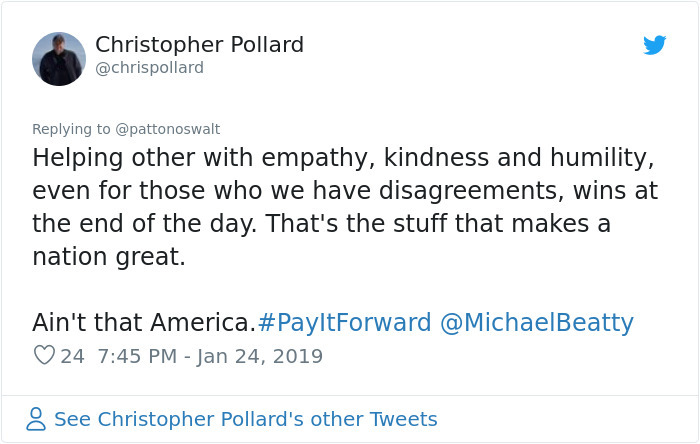 The whole episode is an important lesson on how to deal with nasty people, sometimes you need to swallow your anger and turn the other cheek. 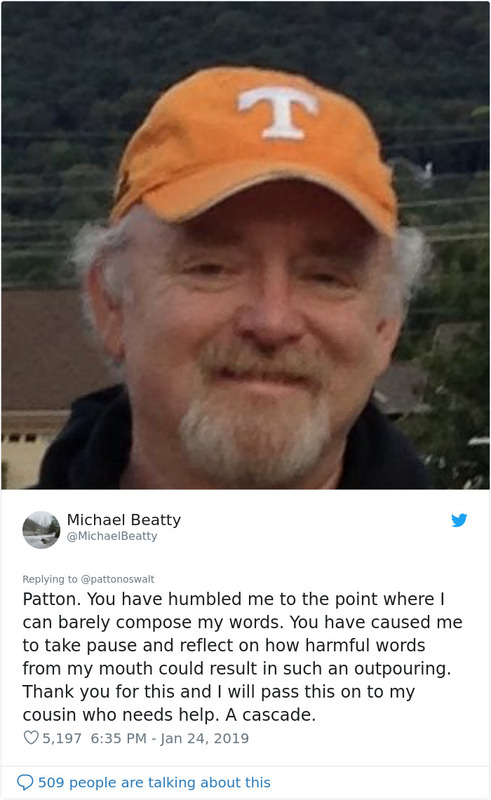 Beatty’s GoFundMe page has since raised over $21,000, far more than he ever expected, and he has come to understand that kindness knows no borders, political or otherwise.